Copy this girl and send us your drawing — perhaps you’ll win a COMPLETE FEDERAL COURSE FREE! This contest is for amateurs, so if you like to draw do not hesitate to enter. FREE! Each contestant whose drawing shows sufficient merit will receive a grading and advice as to whether he or she has, in our estimation, artistic talent worth developing. 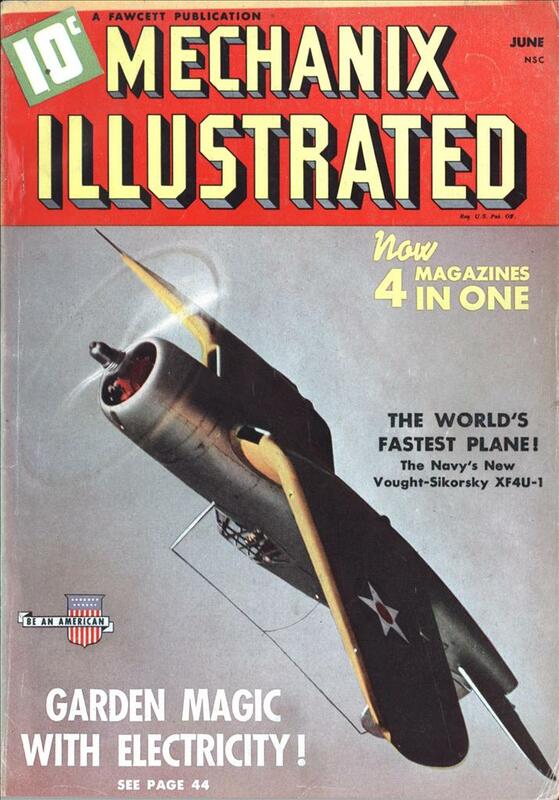 Today design, color and illustrating influence the sale of most merchandise. Trained commercial artists have, therefore, become important in industry. They are in demand — well paid — machines can never displace them. Artistic talent is comparatively scarce. If you can draw, why waste this rare gift? Train yourself to do work for which nature has fitted you and which few people can do. Success nowadays comes easier to those who develop natural ability. We have trained many young men and women now capable of earning up to $5,000 yearly as artists. Use this opportunity to test your talent. Read the rules and send us your drawing. This contest OPEN ONLY TO AMATEURS, 16 YEARS OLD OR MORE. Professional commercial artists and Federal students are not eligible. 1. Make drawing of girl 6-1/2″ inches high, on paper 7 inches high. Draw only the girl, no lettering. 2. Use only pencil or pen. 3. We return no drawings. 4. Print your name, address (town, county, state), age, and present occupation on back of drawing. 5. 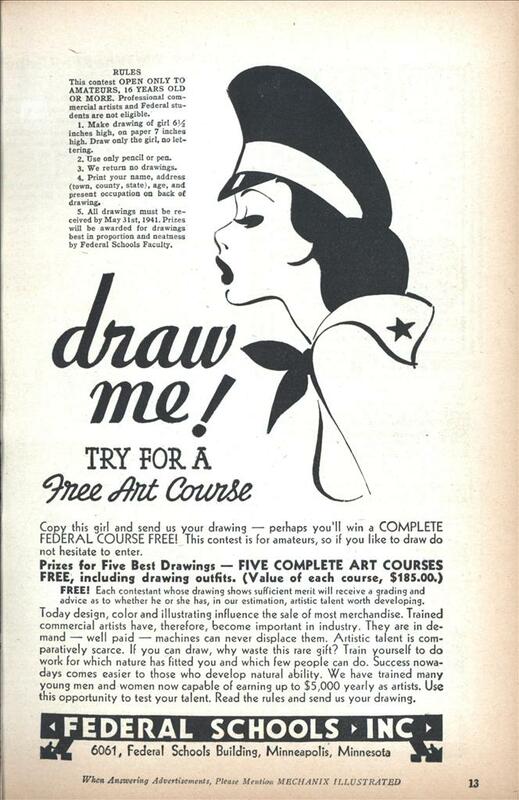 All drawings must be received by May 31st, 1941. Prizes will be awarded for drawings best in proportion and neatness by Federal Schools Faculty. Art Instruction Schools is still around, and still headquartered in Minneapolis. Charles Schulz taught there after World War II; many of his Peanuts characters were based on his co-workers. Are you saying Charles Schulz (I thought it was Shultz) worked with a beagle and a small yellow bird? Some places will hire anyone. An unfortunate choice of hat for 1941.